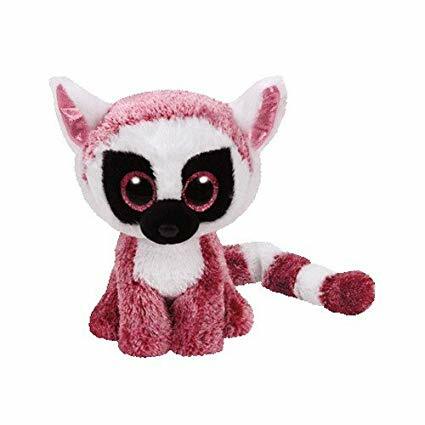 LeeAnn is a pink and purple mottled lemur with a white face, ears and a white belly. She has large, glittery purple button eyes and a black button nose on a black mask on her face.The inside of her ears are shiny pink and she has a long pink/purple and white striped tail. We roll on the snow hills when it gets colder! LeeAnn was released in January 2017. There are two versions of LeeAnn. This small 6″ Beanie Boo and a key clip.